A very Happy and Colorful Holi!! Today we’ll discuss about how to remove holi colors from skin & hair. As u all know holi is around the corner so you all must be very excited. 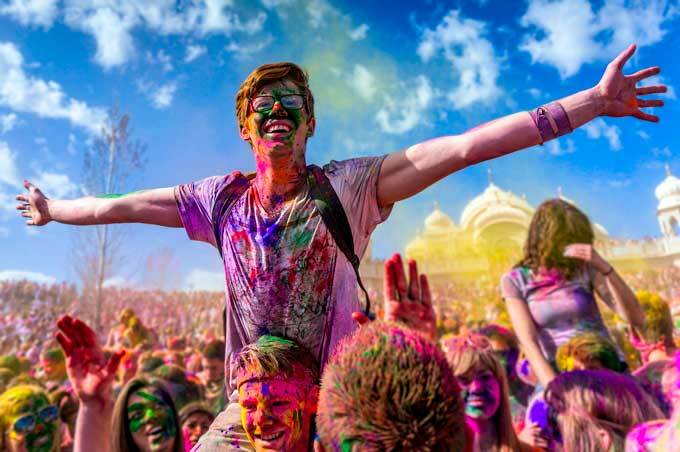 After all this festival of colors is grandly celebrated in every part of the country and specially in northern parts. There is no bound on the joys of holi. This festival of holi is full of colors, happiness, enthusiasm, sweets and what not. In fact, the word holi is enough only to bring a smile on everyone’s face. But when it comes to your skin and hair care there are certain do’s and don’ts that you should consider. 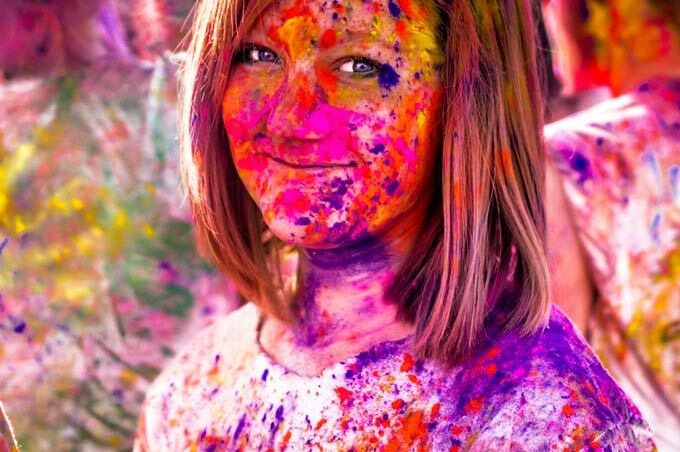 Though we all love to apply colors on each other and get all messy but we can’t deny the fact that the colors used in the festival are not good for our skin and hair. But to your rescue we will provide you with some tips(nuske) to follow. So try these out and enjoy this festival of colors. HOW TO REMOVE COLOR FROM SKIN? Drink Water – Drink loads of water before you start playing holi and even during the festival. This will keep your skin hydrated as dehydrated skin will make it easy for the harsh chemicals seep into the skin. Moisturize your skin – Apply a generous amount of moisturizer with sunscreen all over your body. Skin Toner – Applying skin toner is a must as it will close your skin pores and will reduce the chances of damage on your skin. Oil your skin – Apply at least two layers of olive or coconut oil on your body, especially behind your ears and earlobes as these are the parts where colors settles. Oil your hands, feet, elbows at least 30 minutes before you play holi. Clothing – Carry the clothes which covers most of the part of your body. Gently apply the mixture of besan (gram flour) and raw milk on your face to get rid of colors. Rub lemon wedges on the skin with olive oil. Soak dry mango powder (amchur) in rose water. Apply it on your face, neck or hands and gently scrub it to get rid of stubborn colors. Apply sour curd on your body and wash it off with lukewarm water. It will help you in removing colors as well as it will also moisturize your skin. You can also try face pack –Take a bow and add 3 tsp milt to it. Add 1 tea spoon of almond powder, 1 tea spoon of honey and 2 drops of lemon juice. Mix well and apply on your face. Leave for 20 minutes and wet your hands with rose water and start rubbing it off from your face. It is one of the very effective method for removing harsh colors. Do not use soap after it. How to remove colors from hairs? Oil your hair from scalp to the roots with coconut oil or olive oil at least 30 minutes before you start playing. Else, it is better to cover your hair with bandana or a thick scarf. Aloe Vera – Cut aloe Vera into half and apply its gel or juice onto the scalp. 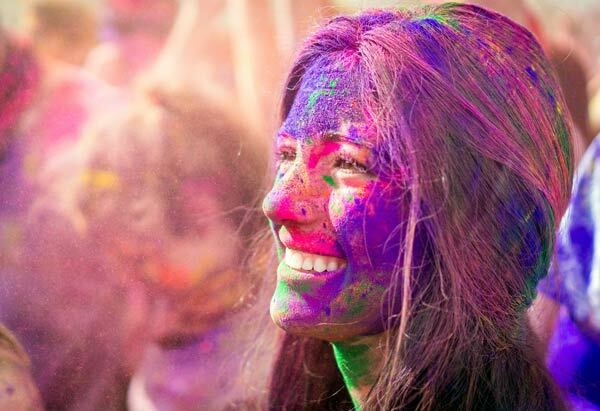 Massage gently with the pulp onto scalp and hair tips at least 2 hours before you play holi . As the gel will not allow the hair to absorb the chemicals of harsh colors. Soak fenugreek seeds and add it in 4 tbsp curd and apply on your hair. Wash it away with herbal shampoo. It will help you take off the colors from your scalp and hair. Take 1 tablespoon of vinegar and 3 tablespoons of oil. Mix well and apply on your hair. Rinse with cold water. Apply almond oil before washing your hair, it will help you help in removing the colors. For lips – Apply lip balm on your lips. For nails – Cover your nails with red or pink nail paints, so that your nails don’t get colored. Completely avoid wearing lenses as they have the tendency to absorb the colors and you could suffer from eye allergy or worse eye problems. If important, wear glasses and clean them time to time. Avoid synthetic clothes and denims as it will get heavy . Do not forget to condition your hair. Try to be in shade and avoid the sun because heat makes the color stronger and it becomes difficult to wash off. Do not get some parlor treatment like waxing, threading or facial before holi and after holi. Give your skin some time to recover. Do not wash your face with soaps or rub your face with some detergent soaps. Good but how to remove colors if we have not taken precautions before playing holi.